Still as popular as ever, the Queen of the Yorkshire Coast offers you a warm welcome. 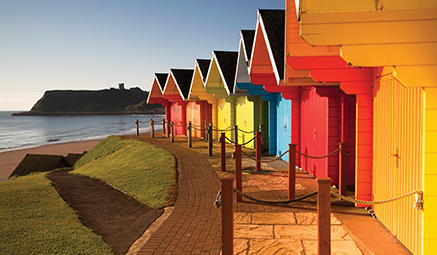 Scarborough, Britain’s first seaside resort, has been welcoming visitors for over 360 years and when you visit it’s not hard to see why. Two bays divided by a headland and the ruins of Scarborough Castle sit in front of this exciting town boasting a host of things to see and do. The perfect place from which to explore the wonders of this fantastic county. York - Full Day - an ancient city so easy to fall in love with, York is a classic English treat. A medley of cobbled streets, romantic atmosphere and fantastic history that pulls you in from the moment you arrive. Visit the iconic cultural and religious building that is York Minster (at your own expense), with its roots in the 7th century! Wander round the city walls, the most expansive medieval walls in the whole of England. 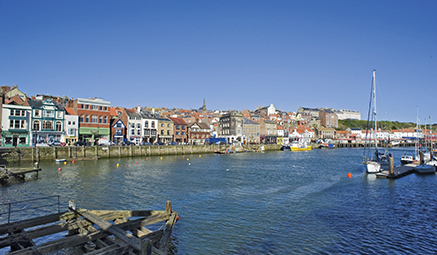 Whitby - Full Day - to this charming little fishing town nestled around a quaint harbour. This delightful town of little red-roofed houses has a fascinating history, charming tearooms and quirky shops to browse. Admire the ruins of St Hilda's Abbey, uncover the stories of Dracula and the 199 steps or simply enjoy the laid back charm of this quaint corner. We continue on through the North York Moors stopping at Goathland and Pickering.